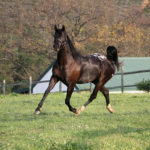 A very well behaved young stallion with a bright future ahead of him. This one is one of the very special ones bred at stud and my personal favourite youngster to work with. 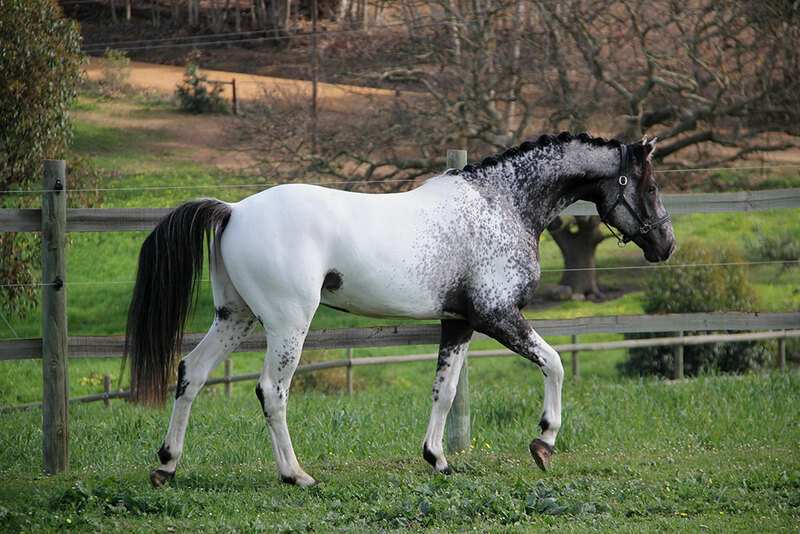 This black snowcap (homozygous for Lp gene) is bred out of strong black based pattern appaloosa colour genes. 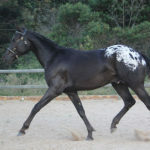 He is of refined type with a very very good mind. 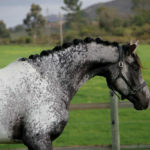 He is task focused and is very willing to please. 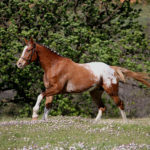 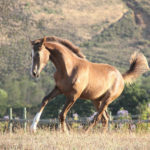 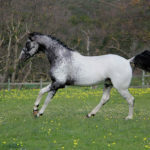 This elegant stallion has good movement and is of late maturing type. 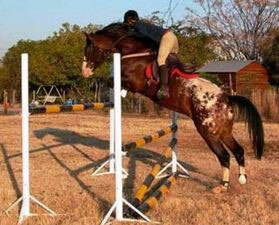 He will only reach full maturity at the age of 8 and will make 16plushands. 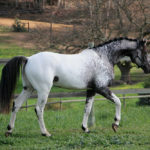 He is out of our favourite homebred mare, Painted Black Pearl Rock by Kondos Eagles Vision. 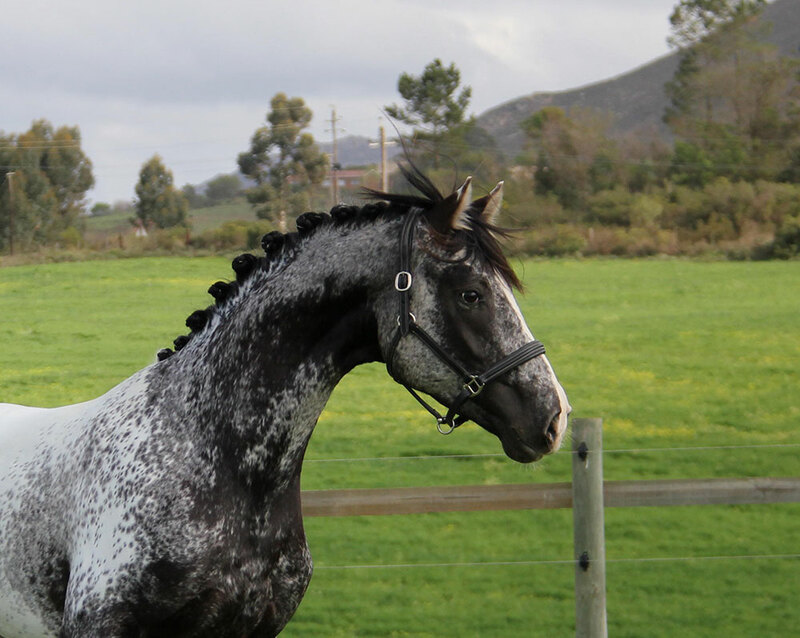 Both two multiple champion individuals known for their ride ability and great minds. 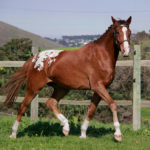 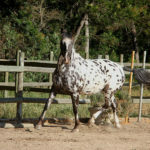 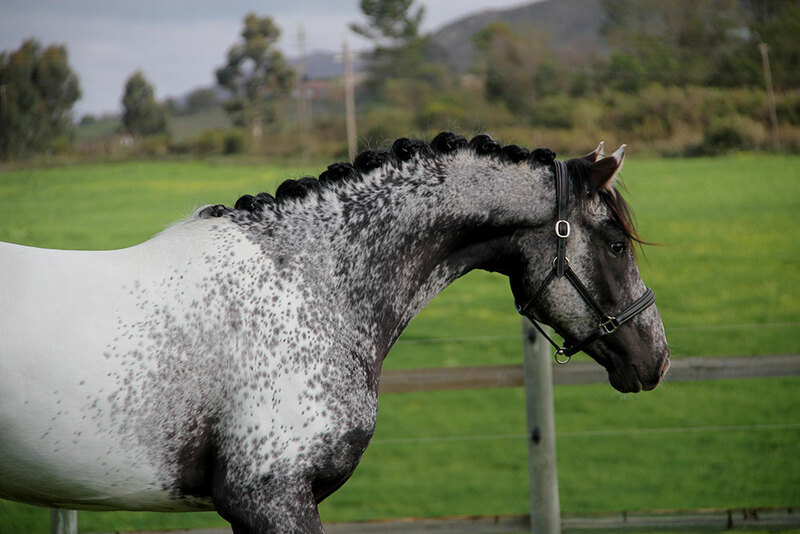 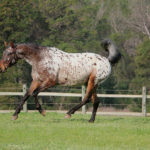 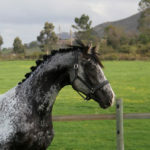 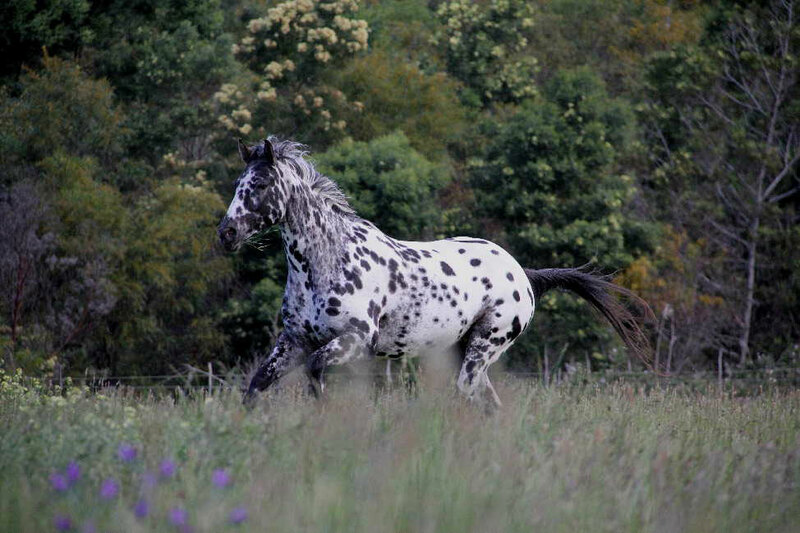 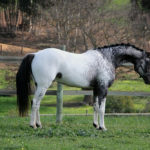 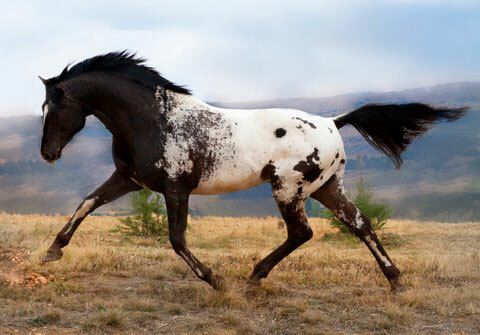 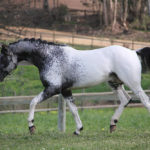 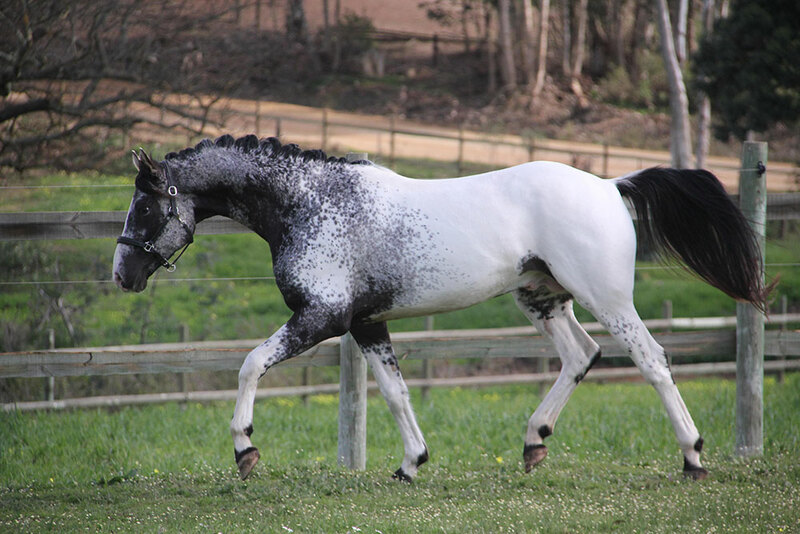 Kondos Eagles Vision; A bold 16.2hand black spotted blanket appaloosa stallion with some of the most influential lines (Drea Eagles Dandy/Hemaroed Quadroon) in South Africa. 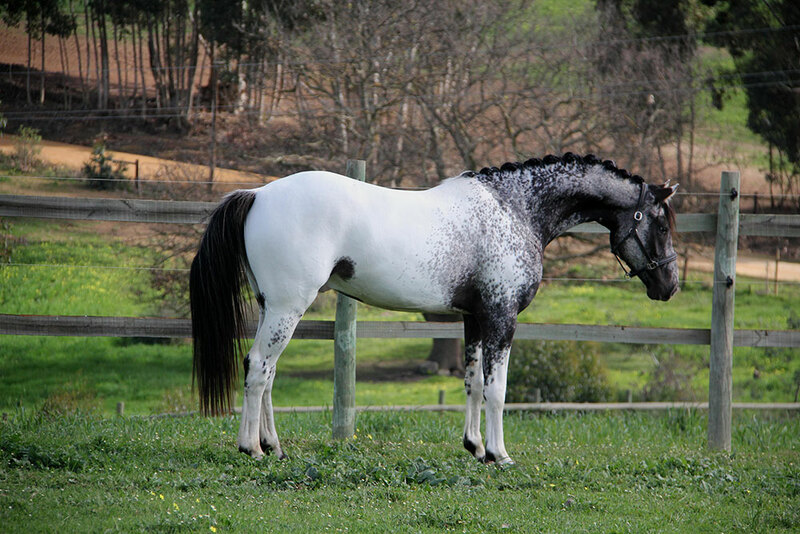 These lines are known for their consistency and good workable temperaments. 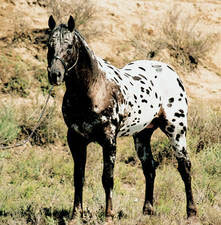 Painted Black Pearl Rock; A bold black near leopard standing at 16hands. 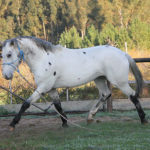 She is by the well-known Peyres Executive Rock, producer of multiple under saddle champions out of Nightingales Terracotta (Maluti Tobys Rawhide_known for his bold pattern colour producing abilities even on non-appaloosas). 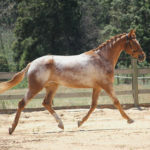 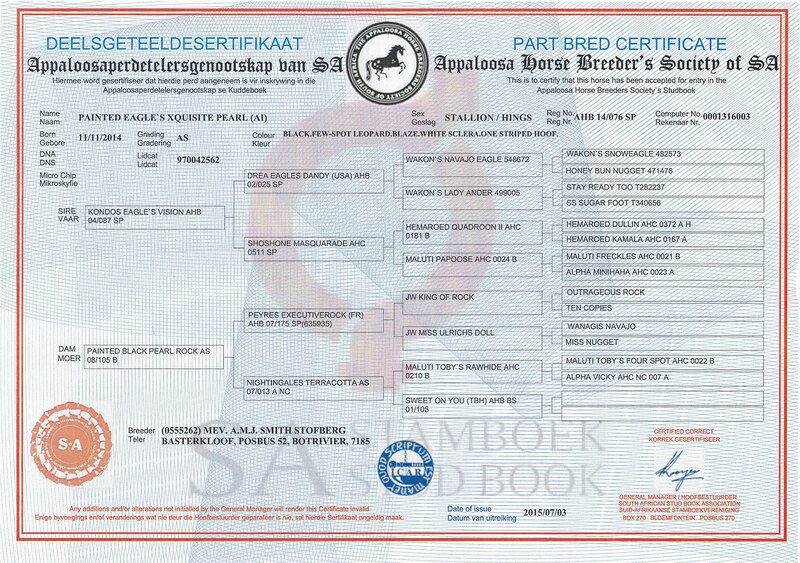 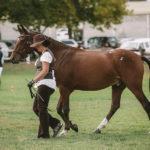 This mare produced one foal (Xquisite) for our stud and was sold to a lovely home on demand through a very high offer. 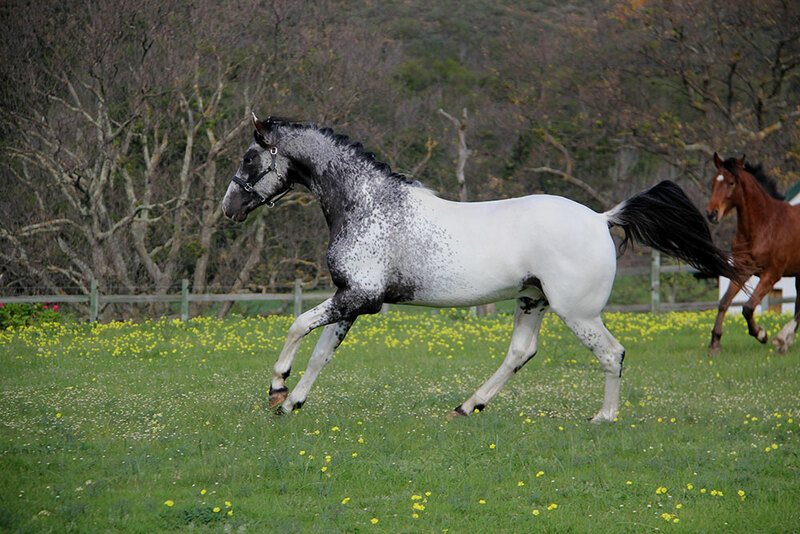 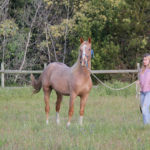 Painted Eagles Xquisite Pearl Rock will be selectively used as a future stud stallion. 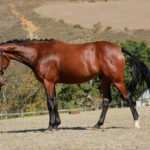 He has recently been sold to Xubeshonge stud as a replacement for Kondos Eagles Vision that has passed early 2019.